A relaxed-fit flaxen shirt with chest pocket. 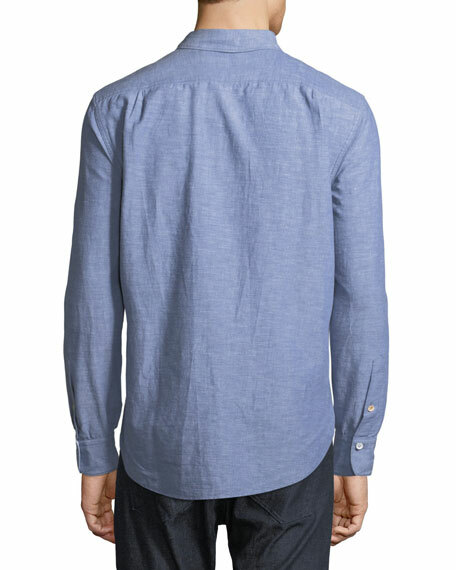 Rag & Bone "Beach" shirt in chambray. 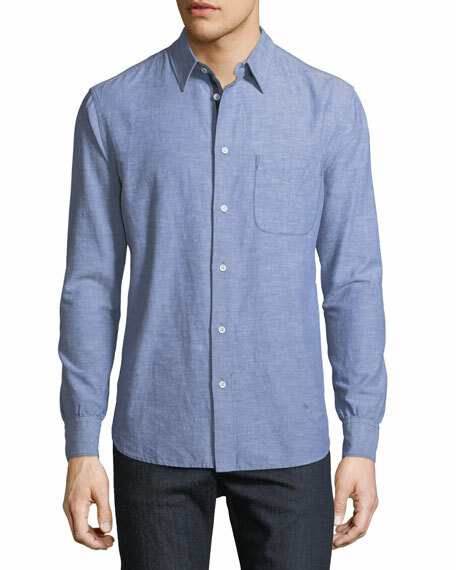 Point collar; French-placket button front with contrast facing. Long sleeves; rounded barrel cuffs with contrast reverse. For in-store inquiries, use sku #2396435.